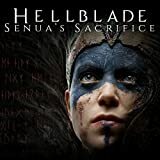 Hellblade: Senua’s Sacrifice, as announced just a short time ago, is headed to the Xbox One in the very near future. April 11th, 2018 to be exact. Today we get a look at the Xbox One X enhanced title in motion in an official 4K HDR trailer released by Ninja Theory. The game looked incredible on a PS4 and PS4 Pro and we’re expecting to be impressed by the Xbox One X version as well.